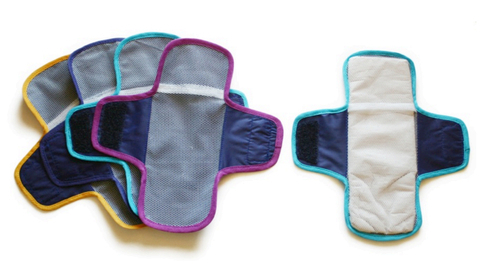 Innovative reusable pad provides a unique solution to a common problem in developing countries. In rural Uganda, as in many other developing countries, drop out rates for girls in school are as high as 40%, in great part due to the lack of access to affordable and effective sanitary products. According to UNICEF, one in ten schoolgirls in Africa miss classes or drop out completely due to their period, prompting girls to substitute pads or tampons for less safe options such as rags, newspaper, or bark. Determined to tackle this widespread problem, Colombian industrial designer Diana Sierra created a sustainable sanitary pad that addresses the issues of cost by using locally available materials. This innovative product is a hybrid design: a reusable and washable cloth that gives girls the options to customize it and fill it with toilet paper or cloth, according to their water availability and income. Diana had been working in design and product development as a consultant for 8 years before focusing on sustainable design during her Master’s practicum in Uganda. She found that while access to water is very limited in some areas, there was plenty of affordable toilet paper. Diana is now running a pilot production of 500 kits to be tested in South Sudan, Uganda, and possibly Nigeria with the hopes of having enough information to bring more people on board to make these pads available to as many girls and women as possible. Hoping to create an inclusive business model, Diana is very optimistic about opening her own studio that focuses on sustainable design. Salvaged scooter tires and delicate rattan weaving from rural Vietnam.